Def Leppard. . Wallpaper and background images in the Def Leppard club tagged: def leppard. 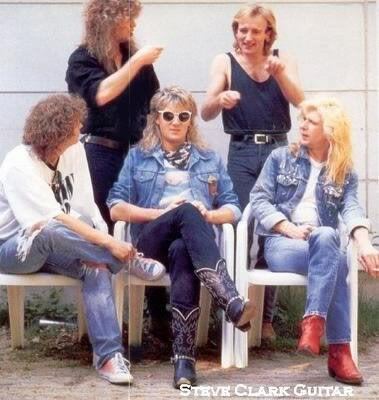 This Def Leppard photo contains banc de parc.